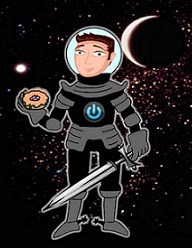 David Powers King: IWSG: Debut Novels - The First and Last Impression? IWSG: Debut Novels - The First and Last Impression? 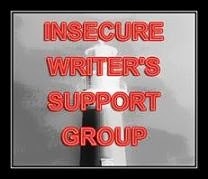 Thanks to Alex J. Cavanaugh, the Insecure Writer's Support Group provides a monthly moment where writers are free to express concerns and insecurities on their blogs without fear of reprisal. It's a seriously big group with much support and advice to be had among its almost 300 participants. 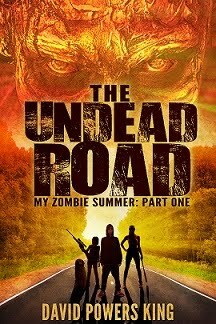 Recently I handed in my first round of edits to my publisher. To be honest, this is the first time I've done such a thing. The experience was pleasant, the editor working with us has an excellent eye, and the process was quicker than anticipated. Then, I was about to turn our edits in when we received responses from close author friends who jumped at the chance to read the uncorrected proof. Note: this is a paraphrase - If you don't capture the reader in the first page or let the reader down in the last chapter, whenever they see your name on another book, they won't bother to pick it up. Woven is my first plunge into the publishing world, so this advice had me thinking, even second-guessing, if the story is really ready for the public scene. One side tells me, of course it is! You haven't had one critique partner or beta reader who didn't like it, and the other side tells me, maybe they're just being nice and complete strangers will be more critical - or downright mean. It's a no-win hypothetical. Finally, reality set in. Not everyone is going to like it. The reason why doesn't matter. I wrote the best story I could how for its market and audience. I can't live in fear that one person - or hundreds - will give me a pat on the back and say "nice try, buddy." Instead, I have to take the feedback as it comes and build upon the one person - or hundreds - who pick up the book and enjoy the story more than I ever did. Besides, I have other stories that can appeal to different audiences. If this run isn't for them, maybe the next one will be. I am grateful for the feedback and endorsements we've collected so far, and I look forward to sharing this ghost story with the world. The final test begins in three months. Pass or fail, it won't change who I am, but it will certainly make a better writer out of me. Have you heard this advice before? Are readers really this critical to first time authors? How would you overcome this insecurity? I'm David, and buttermilk pancakes are deliciously fluffy. Let them down in the last chapter? Never heard that one! You were accepted by your publisher and you are working with the editor. You're as ready as you'll ever be. And no, it will never feel truly ready. There won't be a fail if you learn from the experience. People will be critical, but you just have to work past that. I'm terrified of this too, DPK. This is my biggest fear when I think about being a debut author. This post totally resonated with me. But I agree that you MUST trust in your ability and that your publishers wouldn't have wanted to publish it if it wasn't fabulous. And your beta readers aren't lying to you! But I agree that readers are extremely critical to first time authors. (Of course I think some readers can be insanely critical period!) But when those great reviews start coming in, you'll finally be able to take a deep breath and smile. It'll be fabulous. I haven't heard this before, but it does kind of make sense. I know I've passed over books because of it. Which is utterly terrifying as a reader. Realizing there will always be some people who don't enjoy my work has been a tough lesson to learn, that's for sure! I'd like to see their data on making that statement. Writing is subjective. I bet they're talking about "super educated" readers who are really writers and who view the time they spend away from working on their own books as valuable so you'd better darn well be spending their time wisely. There's a whole group of readers out there who aren't smug about the books they pick up. I know because I've connected with quite a few of them. I think the people you will get the harshest judgment from will be peers who don't know you. In other words, fellow writers who have no clue who you are, but read your book and will be expecting it to be a masterpiece as theirs is a "masterpiece." This is so true, and I'm trying to prepare myself for the inevitability that some people won't enjoy my work. Hopefully there will be readers who love it, though- our best supporters make it all worthwhile! I really don't think one feels the book is ever ready, like perfect. But you've just said century-distilled wisdom. Not everyone will like your book as not everyone likes anything at all in this world. It is just a fact of life and it has absolutely nothing to do with your quality as writer or the quality of your book. It is amazing that so many of us tend to have the same fear about praises from those around us (that they give you a pat in the back but I am not really that good). I believe we should start giving that people a little more credit in their appreciation towards our work. I, for one, will try. I am really happy about your book and I wish it and you the best! I don't think anyone ever believes it's truly ready. You just have to dive in and hope for the best. But you have a lot of people rooting for you, so I'm not too worried about you. It's funny, when you're aspiring for publication you have certain insecurities. Then when the dream comes true, you're hit with a new wave of insecurities. I saw a tweet from a bestselling author the other day where she mentioned always being insecure just trying to finish a book and then the reception the book will have. And she has a ton of fans, a ton of top sellers, you name it. So I guess it never ends. But then again, when you are sharing something so important, that is really a part of who you are, with the whole world how can you not be insecure? Oh, I'm just so excited for you! Great things on your horizon. I imagine allowing other people to hold and critique and offer suggestions about your "baby" would be very difficult not to interpret personally. Kudos to you for being positive, and embracing changes and improvements. You're right, you'll never please everyone, but sounds like you will send the best possible book into the world you can! YES!! That advice is perfect. The trick is, use many critique partners, not betas, and use writers you don't know personally but have more experience than you. All those wrinkles will get ironed out after each CP has a go through. I like my CPs super tough and wiling to be very critical, good or bad. That's the only way to get better. But, as an editor, I can tell you a good one will make you 10 times better. Listen to what they say, but also know, they're your words, it's your name, and your story, not the editor's. A good editor will always preserve that. I don't think that rule is a rock solid truth, but it does sound like solid advice. There's one book, Flux by Stephen Baxter, where I actually found it hard to visualise what was happening in the first few pages, but I struggled past it, and enjoyed the rest of the novel. And M. Night Shyamalan has a reputation as a joke, despite making some pretty tense and well constructed films, largely because of his twist endings. Anyway, congratulations, and I keep meaning to stop by more often! I think you've handled this insecurity very well. Like you said, you will not be able to please everyone. A lot of it will depend on how well you (your publisher) can get your book into the hands of your target audience. At some point we have to let go, trust others and move forward. You've done the best you can and I for one, can't wait to see your baby come out into the world! Is it weird that I sort of disagree? Yes, the first page is important, but if it's not spectacular that doesn't ruin a book for you. I feel if this were true, we'd all be able to recite the first page of our favorite books. But most of us can't. And you're absolutely right--there's no way to make everyone happy. You just have to hold on to the fact that some of them will be. I have heard this advice before. I try to abide by it, but am always concerned that I fall short. I can be overly self-critical. Still, shooting for it always seems to make the writing better. I also agree that not everyone will like it. Doesn't mean it isn't an amazing piece of writing, but we can only be concerned with what our audience might like, which I generally assume include people with similar taste in books to myself. So, they're the only ones who really need to *like* it, though i can receive amazingly good feedback from writers outside that circle. IMHO. I really think it depends on the reader. Some can be very critical, but others are more understanding when it comes to a first book. I can't imagine doing publishing edits, but hopefully I can someday. I'm sure everyone will love your book! Buttermilk pancakes? Hilarious! You crack me up. I've heard that advice too. Sound advice. I hope your book does super well. Good luck, DPK! I am terrified of this too David. With every book this fear looms large. Good luck with your book. One day at a time. One comment at a time. We take the good with the bad. Our books are our babies so I guess we can never feel 100% comfortable with letting them go into the big wide world alone. But as a parent you have nurtured them, given freely of your time and love and helped them find a home, I'm sure your 'baby' will be fine David. I have heard so many times about beginnings being incredibly important but I suppose endings are as well. We have all read something in the past that left us feeling short changed. Sounds like you got lots of great help out there to help nail it! I haven't heard that advice, and while it does have some good points I'm not sold on it. You do have to leave the reader longing for more but there are lots of ways to do that. And as you said, the only thing you can do is write the best book you can. To me, the overall story matters more than how it starts or ends. Obviously if the ending is absolutely terrible it's a different matter, but as long as it draws me in I'll go on to read then next one. I know I'm always looking for a book that grabs me at the beginning. Of course, the story has to keep my attention, but getting off to a good start helps make me buy. I've heard that sometimes you have to get several books out there before you have an audience asking for more. Then there's always the first time writer who hits a homer. I don't think there's any rule here. You've done your best. Pat yourself on the back. Oh, and eat more pancakes! I agree with what they said, but you're wise to see that you can't please everyone. Your publisher isn't going to let you send out crap. They picked your book over other books. For them this is business. If they thought you were going to screw that up, they'd tell you (or not publish you!). So have some faith in the pros. But if you can really see something that should be fixed, do it. Good luck! I think you CP's know what they're talking about, David. :) Self-doubt keeps you humble, so try to enjoy this process of publishing. 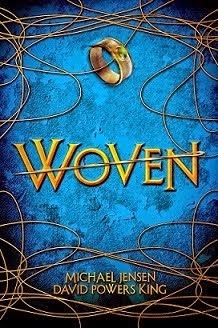 I can't wait to read Woven. I feel your worry and I have spent many nights fretting over it. But from reading your blog, you seem like a real professional and just the fact that you are humble enough to care makes me believe your book is going to be a good read. I think the first chapter hype is only for agents and possibly publishers. As a reader, I've never picked up a book expecting the first few pages to blow my socks off. And in truth, that has only happened once. Yet I have loved and adored many, many, many books. Agents want to see brilliance in the first page. Readers want to see brilliance in the book as a whole. I think the worst reviews are the ones that go "the book's first several chapters were great, but..."
Some people WILL be that hyper-critical, but there's nothing you can do about it, and honestly, those readers are not very satisfying to woo anyway. With the recent release of my "sophomore" book, I'm learning to accept that some people will be pleasantly surprised, some enthralled, some picky, some anxiously awaiting my next book, and some who write me off and say "not for me." No book is going to please everyone, but if you write a book that YOU would read, you are sure to appeal to readers like you! You have to write the best book from inside you. No matter what some aspects of television says, people see through the hype. Congrats on getting this far David. Aah. This freaks me out too. You're going to be golden, though. I can't wait for WOVEN. Don't worry. It is so common... Not everyone WILL like your work, but that's okay, because your TARGET AUDIENCE WILL! As writers, we ALL want EVERYONE TO LOVE our work, but tastes are different and ALL won't. The sooner we learn this, the easier our anxieties will be. RELAX. And enjoy your ride/destiny.... I wish you every success, SiR DAVID! My motto is "once its turned in and accepted by an editor, their advice is the only one that matters." I've heard this rumor that not everyone will like what you wrote, and I know it is true. But there is also another truism, it never looks done until its in final print. Then it gets the reviews it gets. Sometimes good, sometimes mediocre. But as you say David, there are other projects, and writing is a learning process. Each novel/story has its own unique life. I think each book has it's own story on the way to publishing and being read. Each reader is unique. We can't always know what someone will take away from our writing. We just do our best, and keep writing. I actually have read books by authors whose first efforts weren't my favorites. If there is a kernel of something I like in their writing, I'll check out their other books. So . . . enjoy the fruits of your success and keep writing.